General Admission: €7 per person. Children under 12 free. *Children under 12 must be accompanied by an adult - unaccompanied children, will not be permitted entry. Masterclasses: To book your place at a masterclass, email ttierney@cavancoco.ie or call 049 437 8587. Places are limited and booking is essential. Please refer to the Masterclass section for further information on times/availability/prices. Crafts of Ireland Workshop. Book with Sandra Coote on 086 8205177. 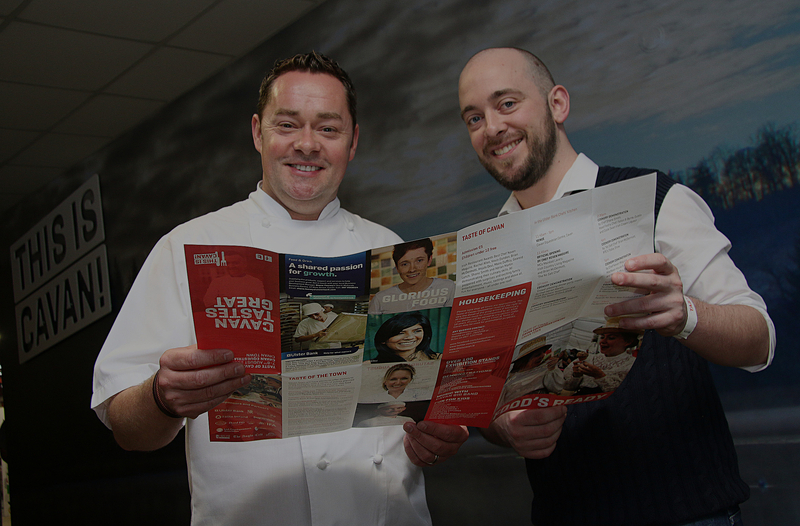 Taste of Cavan Food Trail. €5 per plate. Payable at participating venues. Ulster Bank Mad Hatter Tea Party. Entry is free, However pre-booking is essential as spaces are limited. Contact Nicola on 087 6385574. Click here for the 2018 Taste of Cavan Brochure.